The Predators are known for their various vision modes that serve different purposes and work in different environments. The vision modes are provided by their biomasks and make them more efficient hunters, giving them an edge over their opponents. The vision modes are also quite inconsistent, with each new Predator movie introducing a new one. Here is an overview of all the different vision modes from the Predator and Alien vs. Predator movies. As established in the first Predator movie, the Predator sees everything in blurry red when not using a mask. However, there is conflicting evidence about this. The City Hunter also loses its mask in Predator 2 and sees everything differently. This can be explained by the Predator being in another environment (hot and humid jungle vs cold freeze) and the Predators originating from different parts of Yautja Prime. Furthermore, The Upgrade Predator from the new movie does not use a mask and sees everything in thermal vision. It is possible that he has upgraded his eye lenses in addition to his body. 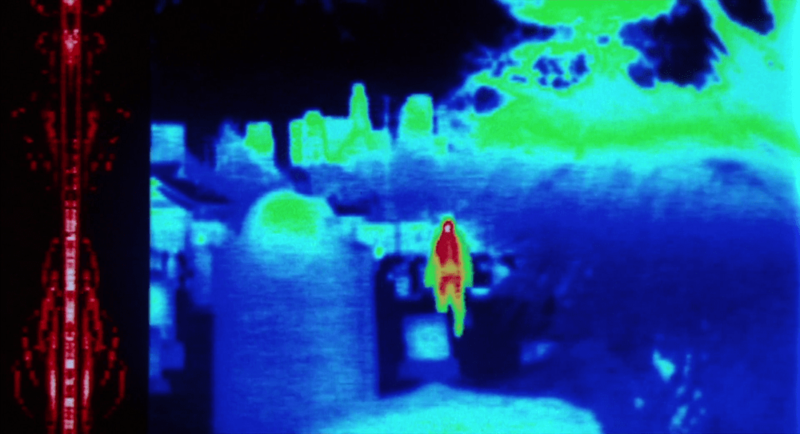 The thermal vision is the Predators most well known and most used vision mode. The vision mode is used when hunting humans and highlights all heat sources from a distance easily. There are a few ways to trick this vision, like covering yourself with mud or using a cold-suit that does not give away a heat signature. On the left side, the Predator is able to use a voice analyzer that helps him to identify targets and later play audio back to them. This vision mode shows up in all the Predator movies and games. The ultraviolet vision is useful when no heat signatures can be detected and the hunted can only be detected by their light sources, like lamps. 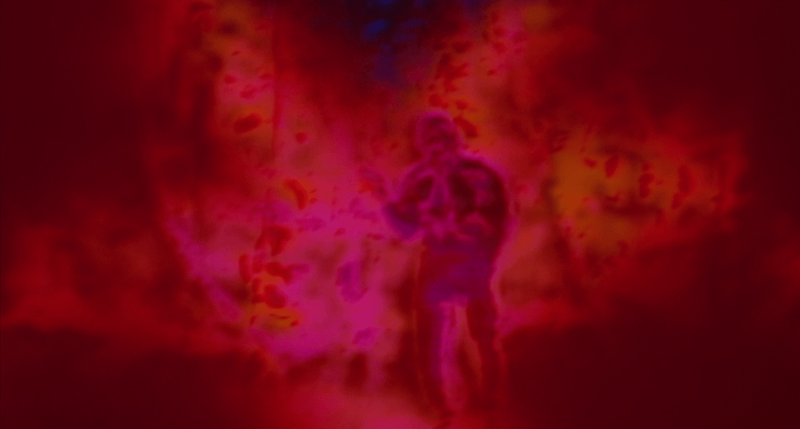 The City Hunter successfully used the ultraviolet vision against the OWLF team in the Los Angeles slaughterhouse in 1997. Peter Keyes and his team were not visible in the thermal vision but after trying different vision spectrums the City Hunter could detect their UV lamps. The OWLF team were slaughtered as a result. This vision has not shown up anywhere else but Predator 2. The Alien vision is a greenish vision mode used to target different kinds of Aliens. Most of the Aliens show up as light green, including facehuggers and chestbursters. However, the Predaliens will be displayed as gold, possibly to emphasize their danger to the Predators. The vision mode tracks the Aliens with a red triangle which allows auto targeting. The green Alien vision shows up in both Alien vs. Predator movies. However, some Aliens vs. Predator games have a different version of it, which displays the background as red and Aliens as grey targets. The X-Ray vision allows the Predator to see inside the bodies of other beings. For example, it is able to see facehuggers inside eggs and chestbursters evolving inside a helpless victim. 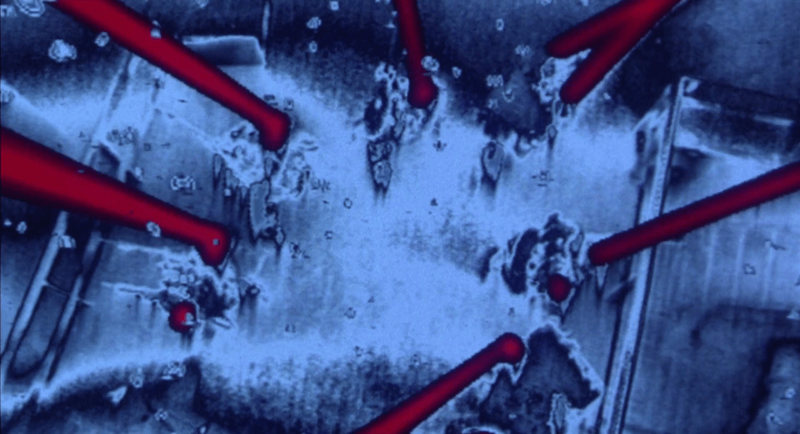 It is even possible to see cancer cells inside a human host like in the case of Scar Predator detecting cancer inside Charles Bishop Weyland in the first Alien vs. Predator movie. For some reason, the Predators at the end of the movie did not scan Scar for a chestburster and paid the price when a Predalien was born and wrecked havoc in their ship. The tech vision appears in most of the Aliens vs. Predator games. 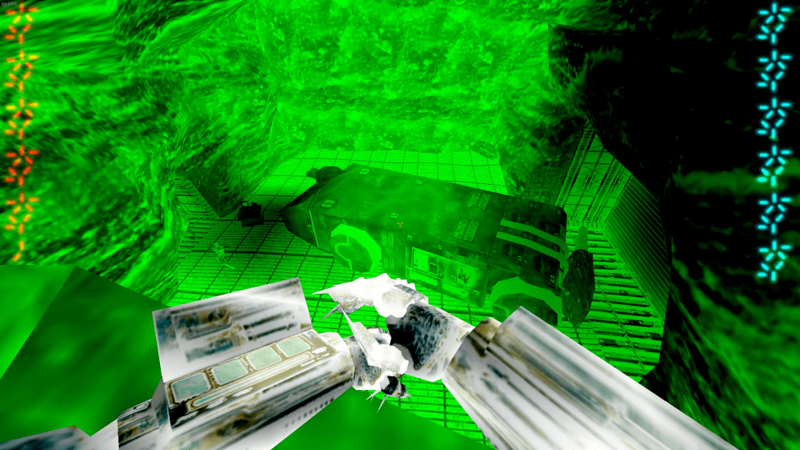 In most versions, it is a green vision mode similar to the night vision of Colonial Marines. Predator tech and the Predator themselves show up in white colors. Also, the vision mode allows to see cloaked Predators. It is possible that Wolf from Aliens vs. Predator: Requiem uses the tech vision in the sewers to find his way on a map. However, a "tech vision" also shows up in the Aliens vs. Predator: Requiem PSP game as an orange vision with not much helpful properties. Again, this is quote inconsistent. The tracker vision allows the Predators to see pheromones of their prey. It was used by the Falconer Predator to locate the humans in the second half of the Predators movie. The chemical pheromones show up like blood drops and leave a trail of breadcrumbs for the Predator to follow. The vision mode has an orange tint and is one of the most unique looking ones. Although seemingly very useful and giving a big advantage for the Predators, it does not show up in other Predator lore. The Predator is able to use sound vibration detection to locate their prey. It offers a nice alternative to the visual detections of the other vision modes. The biomask displays a yellowish vision mode with sound emissions being displayed as pulsating spheres. The Berserker Predator was able to locate Royce at the end of the Predators movie with the help of this vision, although Royce was still able to get away. However, it does not show up anywhere else in the Predator lore. The new Upgrade Predator from The Predator has a special vision mode that he is able to use without a mask. As mentioned before, he has probably upgraded his lenses in addition to his body. The vision mode looks like the regular thermal vision and is able to see other Predators with an orange tint. The vision is further enhanced by sound analyzers, scanners (he is able to scan and copy images like maps) and even a translator. The movie implies that not using a mask and upgraded lenses could be the future of the Predator evolution. Want to know more about the Yautja? Check out the list of the most Badass Predators and Predator Spaceships.